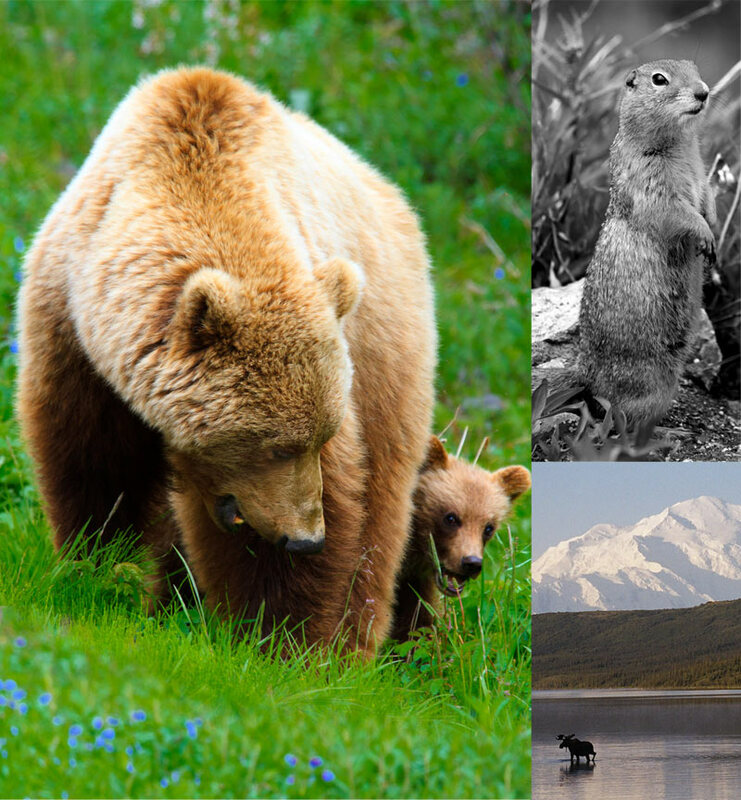 Denali National Park offers some of the best opportunities to see Alaska wildlife, active glaciers, and the Alaska Range all in one place. 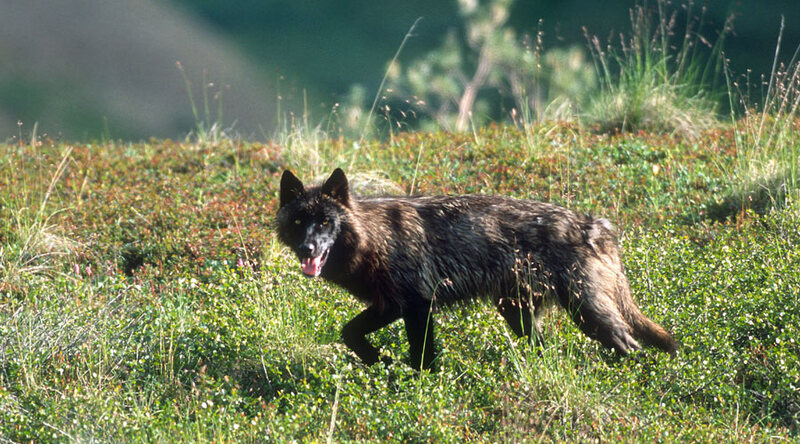 Denali Park blooms in summer months, from May through September, with unsurpassed natural activity and beauty. The natural splendor of the park is awe inspiring to say the least. Few places in the world offer the ease of access to such natural and undisturbed beauty and wildlife. Summer visitors will find themselves with an endless number of great activities and accommodations to choose from. A Denali Park vacation is a once in a lifetime vacation for most people. There is only one main road in the park, aptly named Denali Park Road, which stretches 92 miles through rolling hills, sweeping valleys, and alpine tundra. The drive along Denali Park Road reveals gorgeous views of glaciers, rivers, and mountains, the kinds of views that distort your sense of scale and expand your sense of wonder. At the end of Denali Park Road lies Kantishna, a historic goldmining district established in 1905, where Kantishna Roadhouse calls home. Kantishna is deep in the Park, near some of the most treasured viewing points for Denali. A drive all the way to Kantishna is sure to put Denali park into perspective, as the 6 million acres of land is home to some of the largest natural landmarks in Alaska and anywhere in the world. Formally known as Mt. McKinley, Denali (an Athabaskan word for “the high one”) is the highest peak in North America, and viewing the peak is a major highlight of any trip to Alaska. The summit of the mountain sits at 20,310 feet above sea level, and the peak resides in the Alaska Range, home to other majestic mountains such as Mt. Foraker, and Mt. Hunter. The Alaska Range acts as a barrier for cold, moist air flowing north from the Gulf of Alaska. As a result, the mountain is shrouded in clouds 70% of the time, even in the summer. This makes a clear view of Denali extra special, one that guests of Kantishna Roadhouse often never forget. 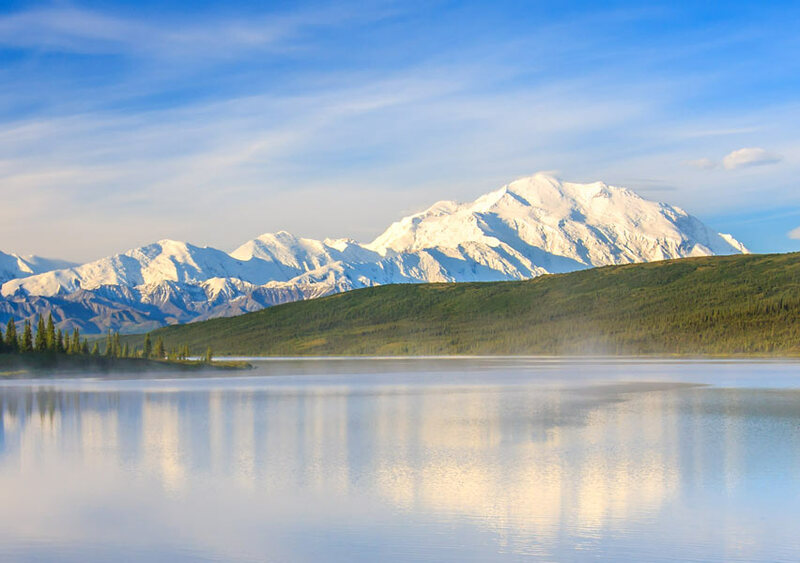 Kantishna is located just a short hike or bus ride away from Wonder Lake and Reflection Pond, which are touted as a few of the most pristine viewing spots for Denali. 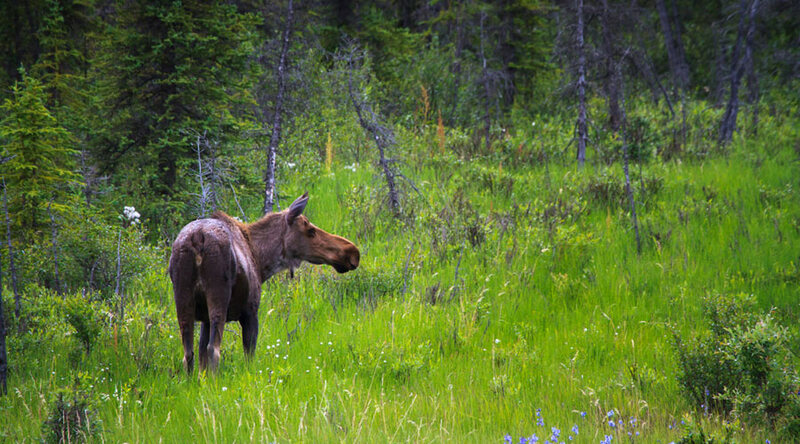 Sighting any wildlife in the park requires a bit of luck, but Denali Park and Denali Park Road present fantastic opportunities to spot these animals in their native habitat. 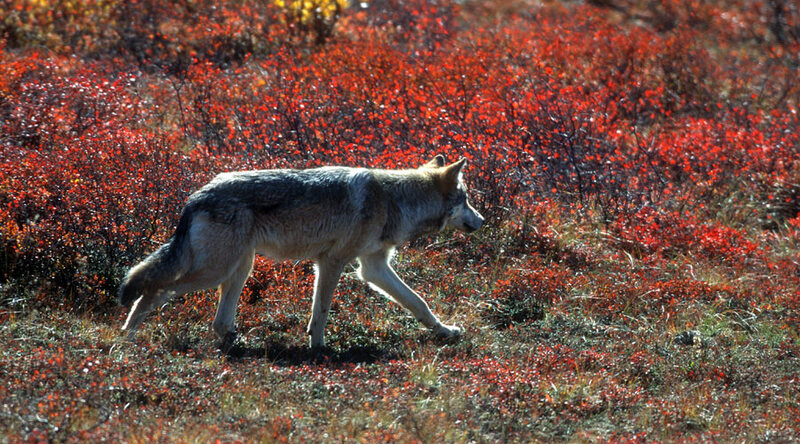 The largest and most well-regarded wildlife in Denali are grizzly bears, black bears, moose, and wolves. 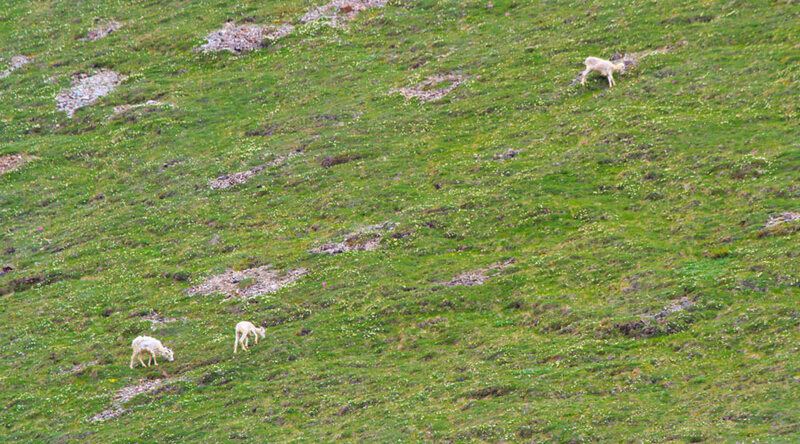 Dall sheep can often be seen far off in the distance, clinging to cliff sides in small to medium-sized herds. 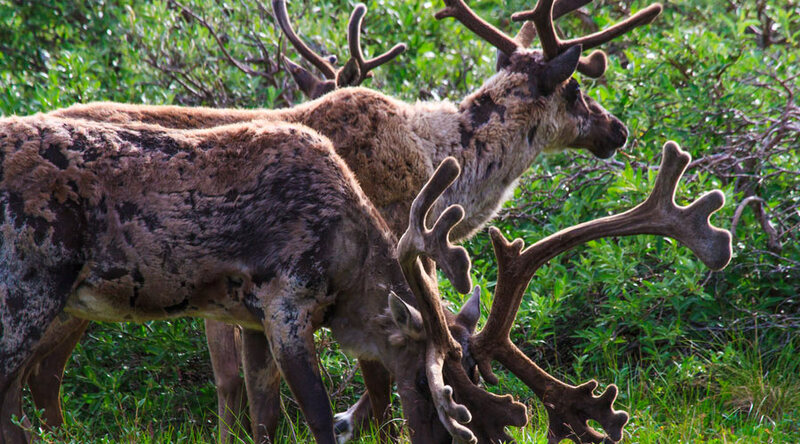 Caribou tend to stay in small groups, browsing through brush and tundra, looking for food. Small animals present in the park include marmots and grounds squirrels. These small creatures might be smaller in stature, but they are often just as mesmerizing. 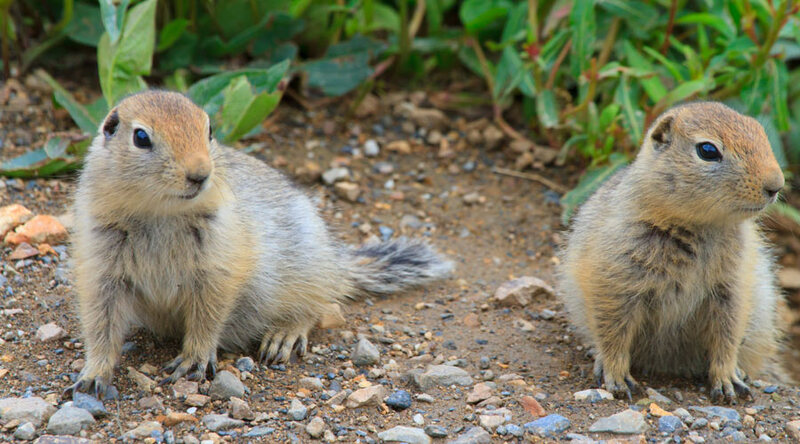 Ground squirrels in particular hibernate with a body temperature colder than any other known animal, settling down as cold as 27° F.
Birds are almost always within earshot in Denali Park. Ptarmigan and passerines are common along creeks throughout the park, and golden eagles can often be spotted swirling above the hills and mountains. It’s important to realize that these are wild animals, and their unpredictability must be respected. 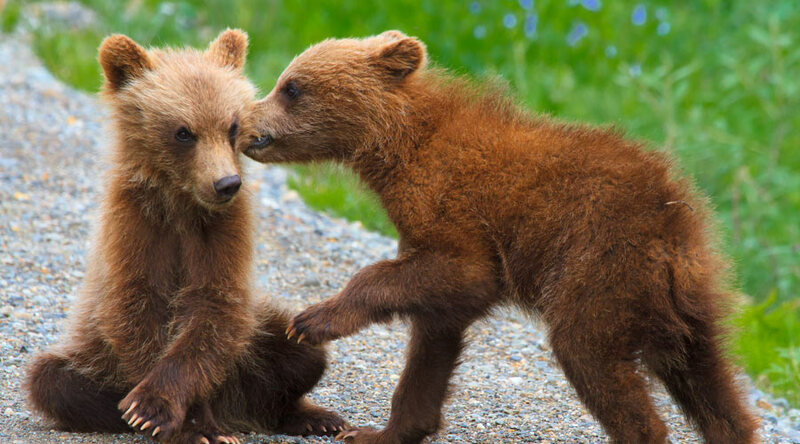 Binoculars and long-lens cameras are recommended for viewing these animals, as it’s difficult and often unsafe to get too close. 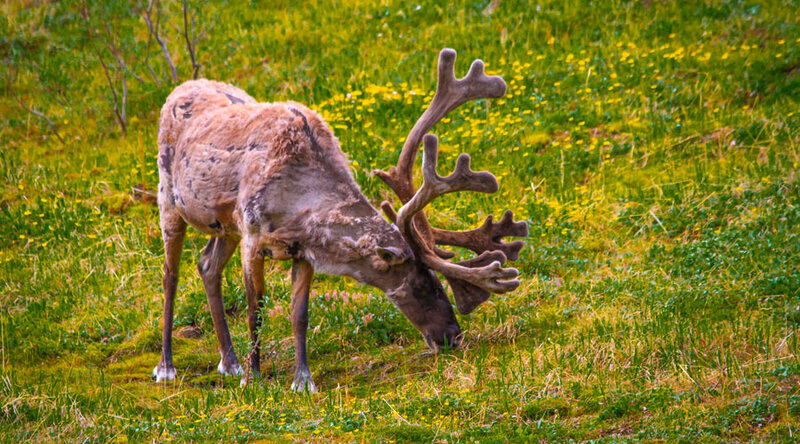 It’s no guarantee that you’ll see any particular animal in the park, but with enough patience and attention, you are likely to spot some wondrous creatures during your stay in Kantishna.